In touch with the melding of you and I. A scholarship graduate from the Hong Kong Academy of Performing Arts, Albert Tiong was a professional dancer with Cloud Gate Dance Theatre of Taiwan, guest artist with Hong Kong Dance Company and principal dancer with Odyssey Dance Theatre, Singapore. 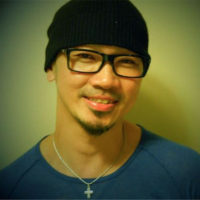 A prolific independent artist in Singapore, Albert has been commissioned to create for Esplanade’s da:ns Festival, Singapore Arts Festival, M1 Fringe Festival, and M1 CONTACT Contemporary Dance Festival over the years. In 2017, he was also invited to be part of an academic exchange with Beijing Dance Academy.